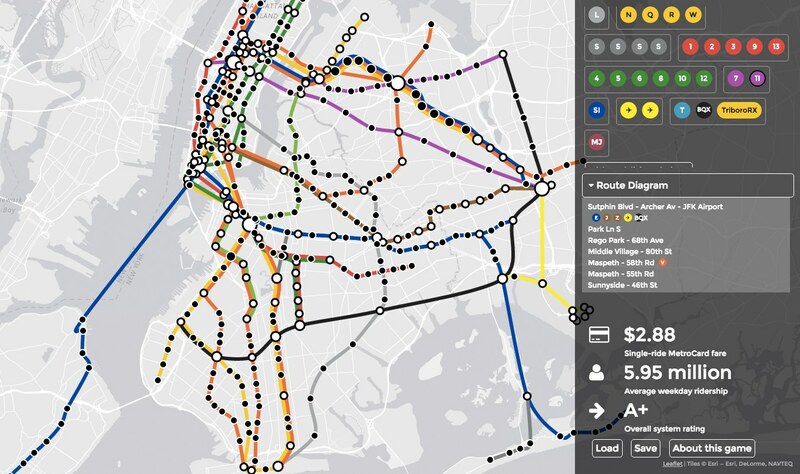 It’s an interactive transportation planning game that lets players alter the NYC subway system to their heart’s content. Players can choose to start from scratch or one of several NYC subway maps (including present-day, maps dating back to the early 1900s, or maps from the future). They can build new stations and lines to expand the system to new areas, or tear it down and redesign the whole thing.